I sucked in my breath and stopped in my tracks. That's a bullet hole. I couldn’t take my eyes off it, at least until tears threatened to overflow. I blinked them away and looked around the room, only to see more bullet holes. This is the Bardo Museum — “Africa’s Louvre” — in Tunis, Tunisia in April 2015. I was there exactly one month after the attack where 22 people, many of them tourists like me, were killed. But I had forgotten about the attack for almost an hour. Of course it was top of my mind as I walked toward the museum, past the groups of police officers surveying the traffic and checking the underside of buses entering the museum grounds. I paid my respects at the simple memorial near the entrance, read each victim’s name and country, and wondered who had left the flowers beneath it. I thought about it as I walked through the metal detector and put my bag through the x-ray, as I bought my ticket, and as I explored the first few galleries. But then I forgot. The artefacts on display at the Bardo are so extraordinary, and the building itself so beautiful, that the attack left my mind. I admired the huge Roman mosaics, many from Carthage, where I’d been wandering the day before. I marvelled at how a container made from an ostrich egg shell, dated from the 7th century BC, could possibly still exist. 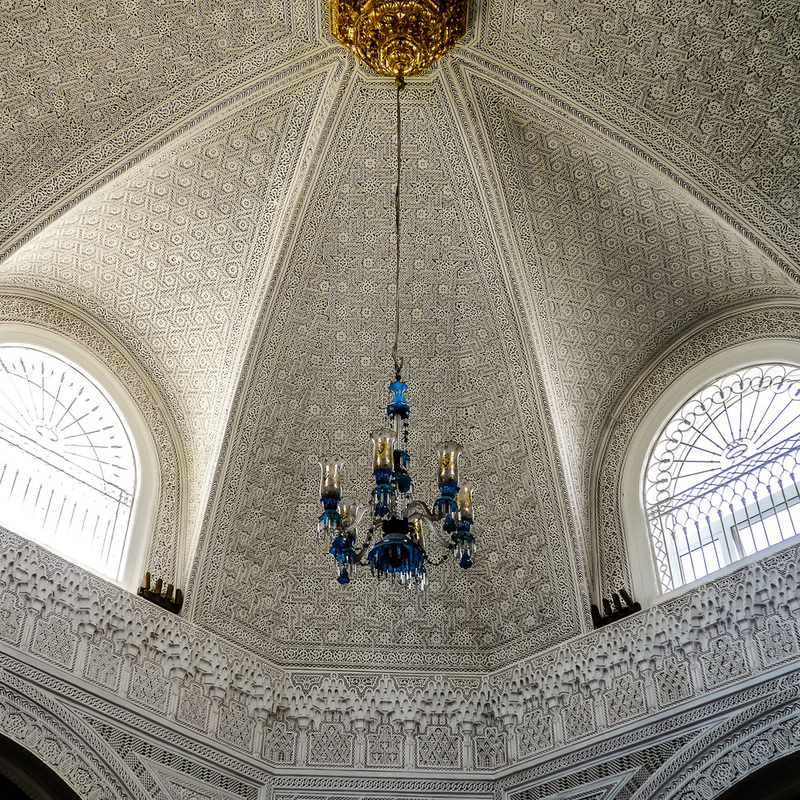 I craned my neck to take in the incredibly detailed ceilings of this former palace. I admired the lines of a 5th century BC amphora. I was captivated by the treasures from a ship thought to have sailed from Athens to Rome or Pompeii around 90 to 70 BC. It was wrecked in a storm, but found in 1907 off Mahdia, Tunisia by sponge fisherman. Its hold of furniture and sculptures are now on display at the Bardo. So enthralled in the past, I completely forgot about what happened here on March 18, 2015. At least until I saw the bullet holes. There were big chips out of marble columns, holes in the walls, and star shatters through several glass display cases still holding their treasures inside. 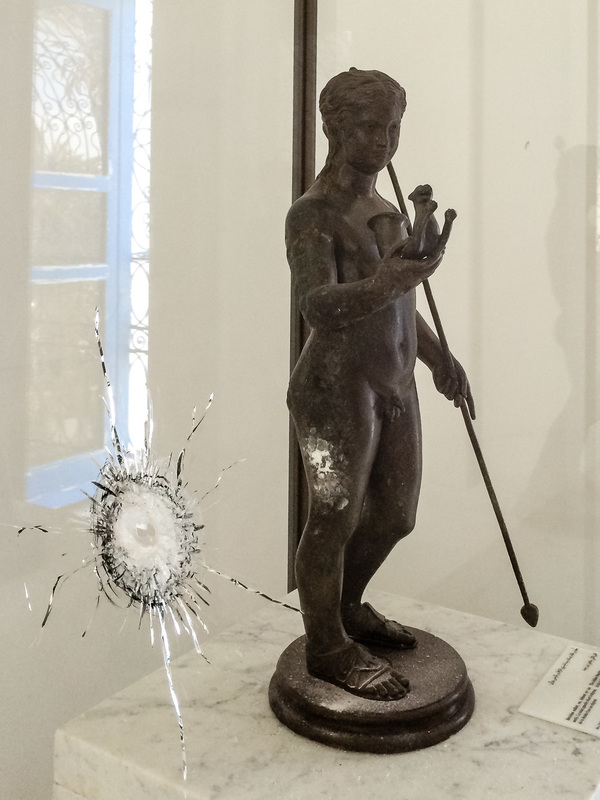 A 2nd century statue of Bacchus was severely damaged. Looking at the wreckage, I couldn’t imagine the terror of the victims who were in these rooms and those who ran from nearby areas. I'd been alone in the section of the museum for several minutes — neither Tunis nor the Bardo were crowded — but I heard footsteps coming toward me. I guiltily snapped a few photos of the bullet holes and left the arriving couples to go through the same emotions I just did. I was torn. I’m glad the museum didn’t whitewash the tragedy, although their website mentions nothing of the attack. The entrance memoriam should be there. A month after the attack, it made sense for the rooms to be open and the damaged display cases to remain. But for how long? I drifted into the Constantine Room, an entrance hall leading to the palace rooms upstairs where I’d seen the bullet damage. Students on a field trip from a local high school were congregating. Three girls took photos of themselves in the immense room. Nearby was the 4th century marble baptismal font that CCTV footage showed terrorists walking by before their shooting spree. The girls posed for their iPhones with sheets of paper on which they'd written "Je suis Bardo." They flashed big smiles. One of their classmates asked to borrow their sign and took a selfie, again with a big smile. I wasn’t sure what to think. Before my visit, I tweeted that I was coming to the museum and hashtagged #JeSuisBardo, telling myself I was promoting tourism to a place that needed it. At the museum, I took photos of the bullet holes, convincing myself I was documenting history, not exploiting a tragedy. The school girls’ photos also promote visits to the museum and to Tunis. I might counsel them against the big grins, but perhaps they are smiles of pride and courage. Tourists snap photos of themselves at the World Trade Center site thousands of times a day, and the 9/11 Memorial Museum is included in the CityPASS tourist ticket. I was in Paris three weeks after the Charlie Hebdo attack. Like many others, I shared my photos of #JeSuisCharlie graffiti on social media. Two weeks after 9/11 I was in New York, and respectfully took photos of memorials at fire stations and of skyscraper fragments. Is there a line between exploiting a tragedy and promoting a tourist destination? Is it right or wrong to visit a city following a disaster and share it on social media? Obviously if the infrastructure is not back in place to support visitors, such as after a natural disaster, it is better to stay away. But otherwise? When does the evidence of tragedy become a tourist attraction in and of itself? Does that even matter? These are all questions I asked myself in Tunisia, and keep asking since I’ve returned home and as further attacks have taken place. I did question my personal safety before visiting Tunisia, but only briefly. I was already in North Africa when the attack on the Bardo happened. 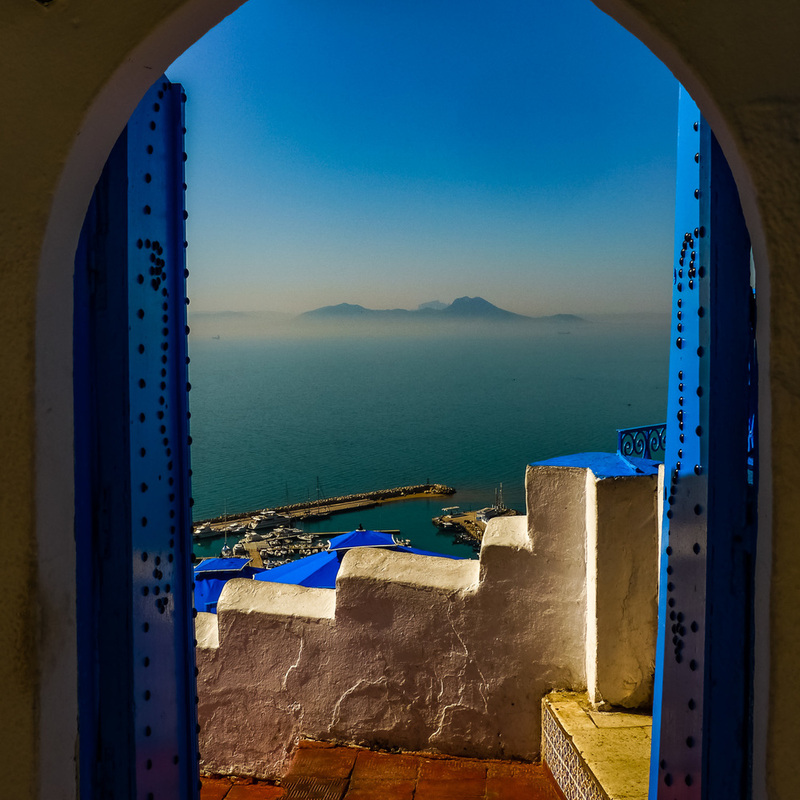 I watched the Tunisian government’s reaction carefully, but I didn’t consider changing my plans to go to Tunis. The government reacted with the seriousness that one would expect after such an event. Besides, shortly after a terrorist attack, that city becomes one of the safest places in the world, as everyone — officials and citizens — is hyper-vigilant. I found Tunis to be safe, its citizens appreciative of my visit, and the city, its museums and Roman and Phoenician ruins incredibly worthy of visiting. Yes, both Tunis and Paris had subsequent attacks. Tragedies — whether they be natural or human-caused — can happen anywhere. Wherever we are in the world, even at home, we are always at some level of risk. 406,496 people died from firearms (homicide, accident and suicide) in the United States between 2001 and 2013 (Source: Centers for Disease Control and Prevention). 350 U.S. citizens were killed overseas in terrorism incidents during the same 12-year period (U.S. State Department). 3,030 people were killed in American domestic acts of terrorism in those 12 years, largely on September 11, 2001 (CNN’s statistics). The goal of terrorism is to strike fear. But, for most of us, the fear is more dangerous than the actual terrorist acts. The best reaction to terrorism is to show that we will not let terrorism change our lives and that we will help create a world without disparity where human rights are guaranteed. This will prevent extremism and terrorism from happening in the first place. By being socially-conscious travelers, we contribute by helping create wealth and opportunity and a greater understanding between cultures. Avoiding cities that have been hit by tragedy just makes the situation worse. They need our tourist dollars. If they are isolated, their citizens will suffer and extremism can flourish. While we need caution to not exploit a tragedy, cities hit by terrorism need our tweets and Instagram photos too. Johanna Read reviews Alma Histórica, an art- and history- focused boutique hotel in Montevideo Uruguay. Montevideo has kind people, incredible food, beautiful architecture, sunny skies, in-town beaches, cultural focus, and open-minded values, it's my kind of place. A review of Dar Roumana, a five-room boutique hotel in the Fez medina committed to sustainable practices.